Our clients will benefit from strengthened engineering skills and additional contract vehicles to help Federal, state and local governmental clients simplify the process of acquiring the solutions they need. Sirius Computer Solutions, Inc., a leading national IT solutions integrator, has signed a definitive agreement to acquire the network security company, Force 3. The acquisition, which is scheduled to close on March 31, allows Sirius to expand its security and networking solution offerings in the Mid-Atlantic region and Federal marketplace. Founded in 1991 by Rocky Cintron, Force 3 has evolved from a PC and networking reseller, to a major Federal engineering and solutions innovator focused on security and networking solutions – with several hundred active clients and approximately 170 employees. Sirius offers integrated, multivendor technology solutions that meet the requirements of organizations of all sizes and industries, across the data center and other lines of business. Together, Sirius and Force 3 will provide the experience and the expertise in next-generation network security technology, customized to meet their clients’ needs in an evolving threat landscape. Force 3 will continue to operate as a separate legal entity, retaining the Force 3 name as A Sirius Computer Solutions Company. This is the fourth major acquisition Sirius has made over the past 18 months, including Carolinas-based Varrow, Inc. and a portion of Avnet, Inc.’s digital software solutions and services in 2015, and Brightlight Consulting in late-2014. 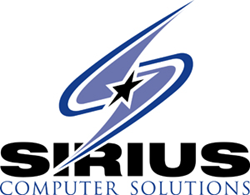 About Sirius Computer Solutions: Sirius is a national integrator of technology-based business solutions that span the data center and lines of business. Built on products and services from the world’s top technology companies, Sirius solutions are installed, configured and supported by our dedicated teams of highly certified experts. Sirius is focused on helping organizations of all sizes reduce cost and complexity, improve service levels, and minimize risk through the implementation of strategic solutions that include cloud, analytics, mobility, security, IT infrastructure optimization and more. For more information about Sirius, visit http://www.siriuscom.com. About Force 3: Force 3 is the network security company, providing infrastructure services to design, deploy, support and maintain clients’ technology needs. Their team of passionate industry experts includes leading security professionals with the highest levels of certifications, proficiencies and experience. Force 3 boasts the only dedicated support service offering in the Federal market, ensuring optimal uptime to keep your infrastructure efficiently running. Whether an enterprise network, mobility, collaboration, data center or next-generation solution, Force 3’s highly trained engineers and strategic partnerships deliver secure solutions for agencies that demand value and reliability. For more information about Force 3, visit http://www.force3.com.